Gosh, that came round quickly! And it doesn't feel exactly like the end of April, with sleet yesterday, hail the day before, and a bitter wind today. But at least the sun is shining now, and it has been a good excuse to light the fire and read. Two authors again this month, and the Indie one comes first. 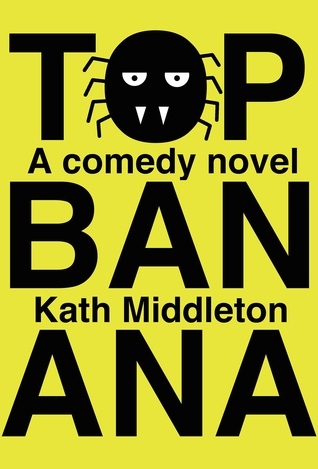 Kath Middleton might sound like someone with royal connexions but she has rather a different claim to fame, being a reviewer on GoodReads and her own blog who has helped many an indie writer to produce better, cleaner books with a great deal of good humour and friendly encouragement. A few years ago she and fellow writer Jonathan Hill produced Beyond 100 Drabbles - those 100 word short stories which have featured on this blog before. In these she showed herself to be a witty and often dark writer, and soon she stretched to the novella length with Ravenfold. It's an imaginative and gripping novella set in mediaeval England. Interesting characters and convincing setting, and a couple of gory bits! Well-rounded plot, too. (great cover, by the way!) 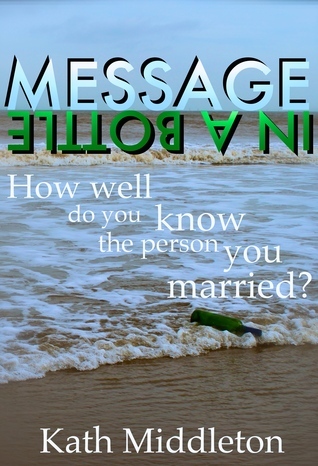 Not long after, she followed up with her first full length novel, Message in a Bottle. 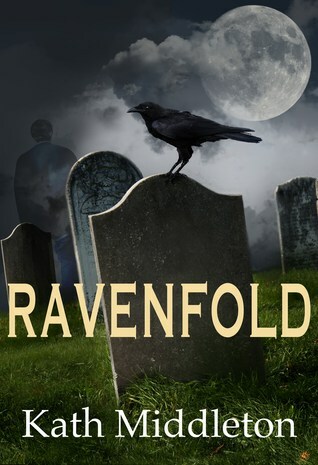 After Ravenfold and some of the drabbles, I expected a dark twist, but instead it is very heart-warming. She portrays the confusion of grief and bereavement beautifully, as well as the intricacies of friendship of different kinds and with different histories. Showing her versatility, this was followed by Top Banana. Bananas and spiders, the greatest risks to the life of the dedicated greengrocer. Steve leads a miserable life, in a deadend job and at the receiving end of his mother’s unrelenting criticism, until the time he is bitten by a spider and slips on a banana. The result is a step on to the steeply curving path of improvement and his life turns around, in a witty comedy with a wonderful feelgood ending. There are some hilarious situations and apt descriptions: I particularly like ‘like eleven gallons of anger trying to fit into a ten gallon bucket’. Further collaborations have culminated recently in another book written jointly with Jonathan Hill, Is It Her?. This is a book of two halves, literally: it consists of two novellas each inspired by the same painting. The painting itself is atmospheric and compelling, begging to have its story told, so it is fascinating to read two possible stories by these two accomplished writers. Both are set around the Second World War, and both are love stories, but there the similarities end. JH’s is a tense, brittle account where every word is weighed, beginning with a claustrophic family evening and, through war intervenes, barely allowing us out of that closeknit relationship which is not all it seems, even though we see into the minds of each of the characters in turn. KM’s has a broader range and setting, which moves from prewar ideals to two parallel and deeply tragic war stories, which are themselves enveloped in a love story with a tension of its own. Both stories accomplish a range which is impressive in a novella. 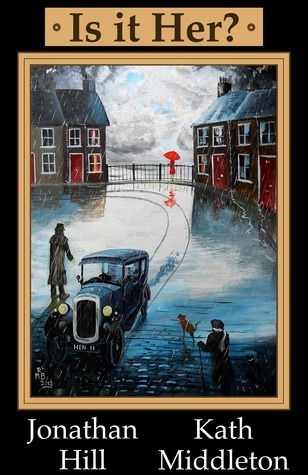 Both use the painting as a scene of high emotion in their narrative – and most importantly, both mention the dog! 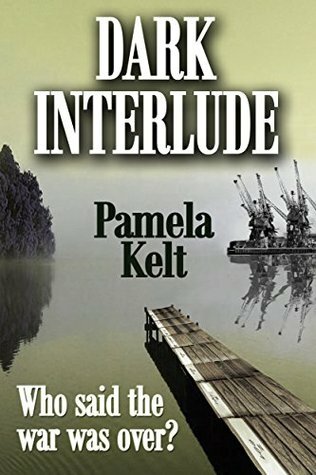 A year or so ago, looking at my to-be-read list, I remembered liking the look of a book by an author called Pamela Kelt, Dark Interlude. However, no links seemed to work, Amazon drew a blank, and I began to wonder if I had really seen it. 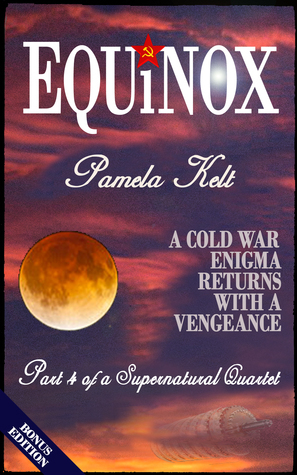 I sent a message to the author and instead read her book, Equinox, which was not quite what I had wanted. However, I was delighted with it. 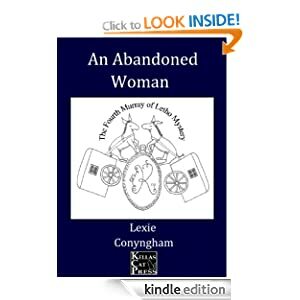 It is a beautifully written set of linked short stories, very different in theme and setting. I loved the wit of the first one, set in Soviet Russia, but they are all atmospheric and well plotted, with characters who are rounded as soon as they hit the page. The use of language was wonderful. No message came back from the author till a month or so ago when she let me know that Dark Interlude was once again available, along with another book I'd been trying to find, Half Life. I set to with enthusiasm! As usual, the author's language and scene-setting are terrific, atmospheric, touching and expressive. The plot centres around an archivist cataloguing a dead academic's collection, then finding that her death is not as straightforward as she has been led to believe. We are led into the Glasgow riots just post First World War, with a pretty even-handed and vivid account of strikers' demands, the authorities caught on the hop, fear of the Bolsheviks and the aftermath of the horrors of the war. The excitement was building from around 50% and I didn't think it could be realistically sustained, but it was - a page turner right to the end. Kelt pitches her historical period perfectly as always, as well as the Arctic setting. Her heroine is again an academic female, but a different one, more settled, more sure of herself. 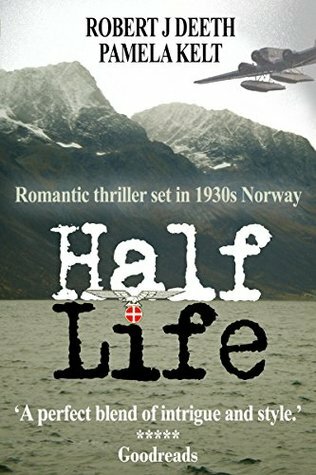 The story is set in Sohlberg, real life Tromsø, and features a nicely complex plot involving the Nazis, mineral rights, Polar exploration, chemistry and discrimination against the Sami people, Norway’s dark secret. While this book is written with her husband, Robert Deeth, the plot is all Pamela Kelt while the science, which is compelling, and the aviation too are, I suspect, her husband’s contributions. Again, the action builds up early and is well sustained, and the characters are interesting and appealing. These are great adventure thrillers, but the atmosphere stays with you after the plot is over – and I do wonder whether our hero and heroine will appear in another book soon. Pamela Kelt writes in a variety of genres not all of which I've tried, so it's worth taking a look at her blog for further details. Meanwhile I've three chapters to go of the first draft of Slow Death by Quicksilver, and lovely Ellie at Sea has provided her best cover yet!